COLUMBIA, SC (WIS) - A new study on the cost of utility bills in the U.S. was released Thursday, and it shows South Carolina is in the top 10 for highest payout each month. Factors in this study were broken down in the following categories: electricity, natural gas, internet, cable, and water. And the most expensive bill for South Carolinians is for natural gas. 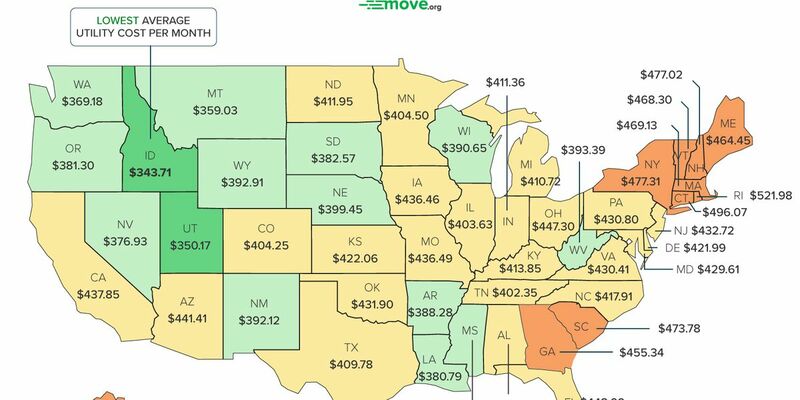 Move.org, a website that provides resources to move, shows in their Oct. 29 study findings that South Carolinians pay an average of $473.78 a month on utilities, ranking the state at no. 7 of most expensive utilities in the U.S. The findings show that while for most of the country, electricity is the biggest bill - especially on the East Coast - in South Carolina, it’s natural gas. The average bill in the state is $150.03. The Internet is also a high-priced bill in the state. To see more of the methodology of the study, click here.